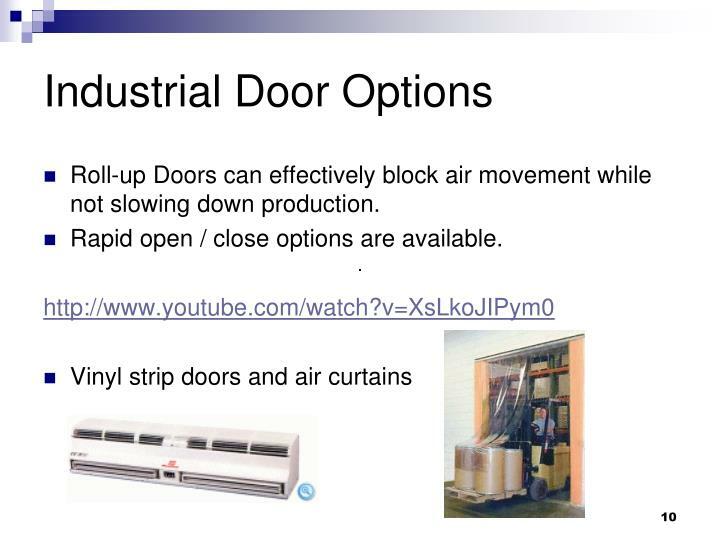 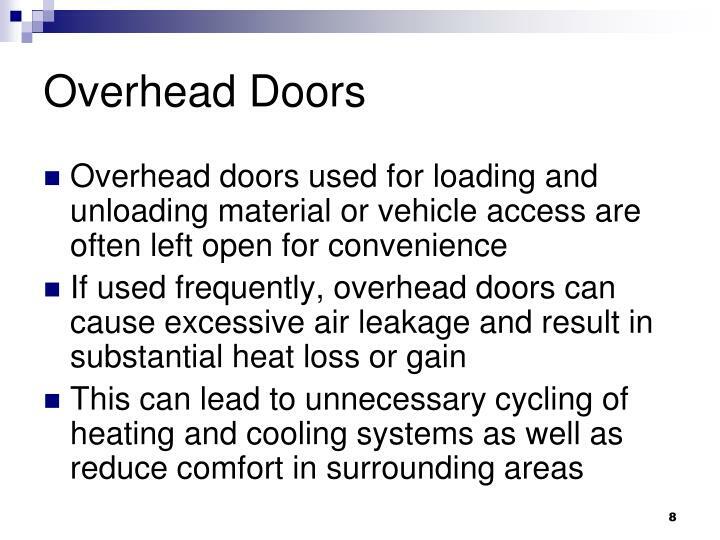 Roll-up Doors can effectively block air movement while not slowing down production. 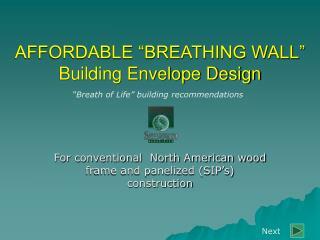 Rapid open / close options are available. 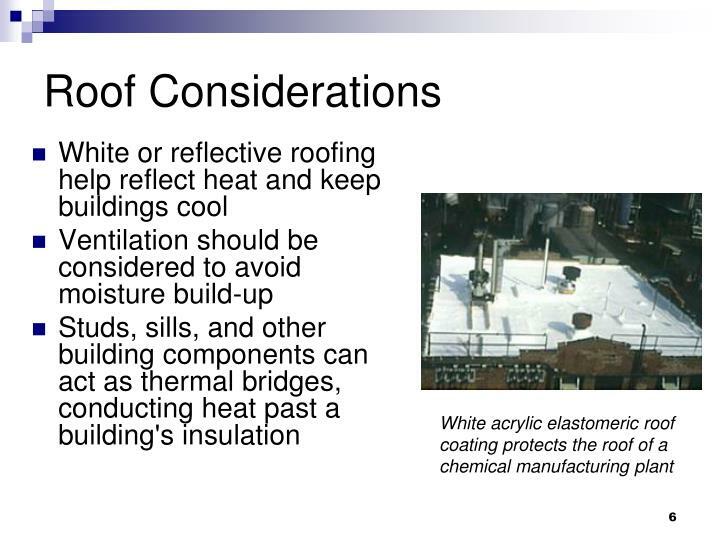 Requires that surfaces touch for solid-solid heat transfer. 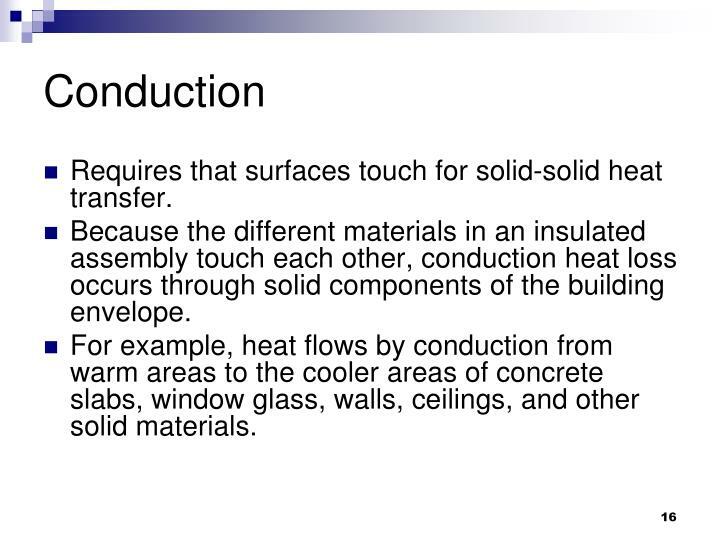 Because the different materials in an insulated assembly touch each other, conduction heat loss occurs through solid components of the building envelope. 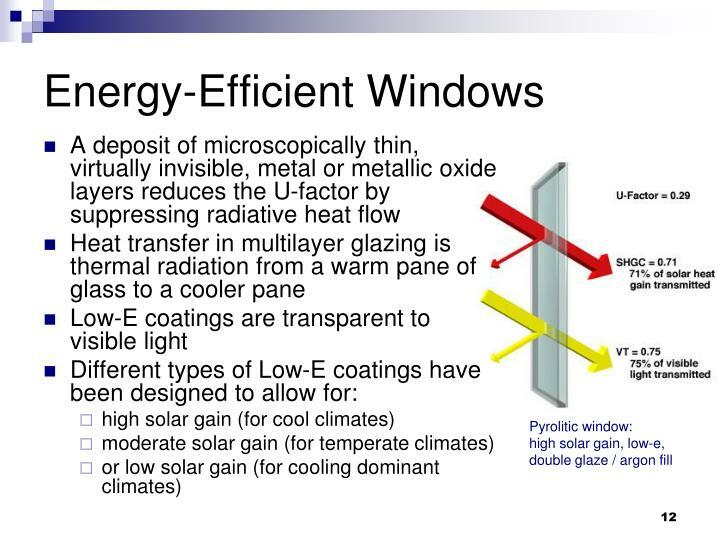 For example, heat flows by conduction from warm areas to the cooler areas of concrete slabs, window glass, walls, ceilings, and other solid materials. 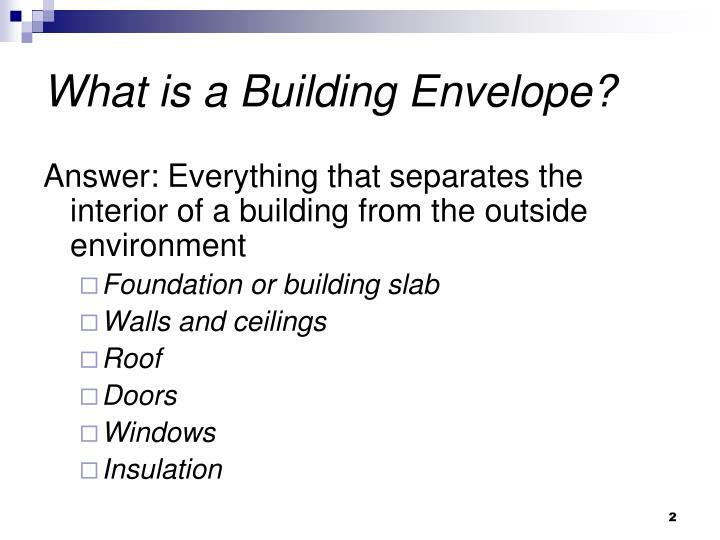 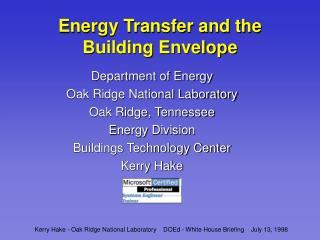 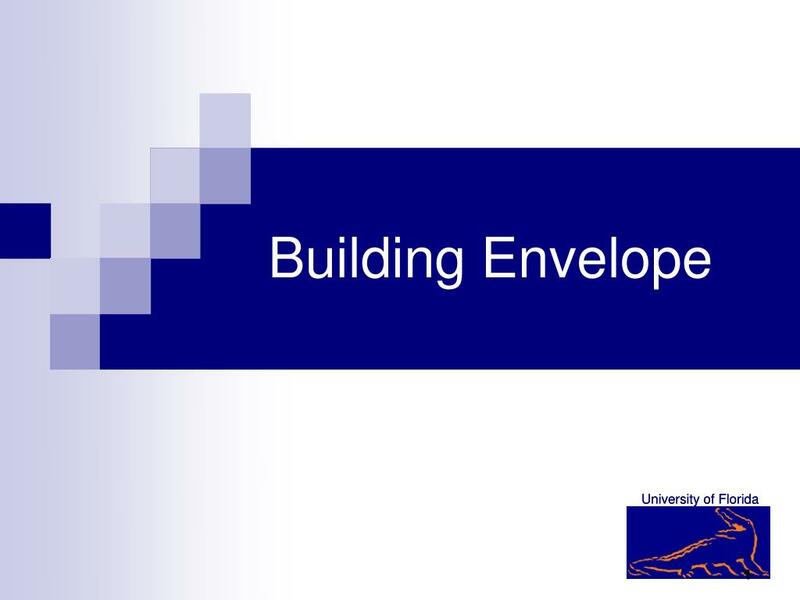 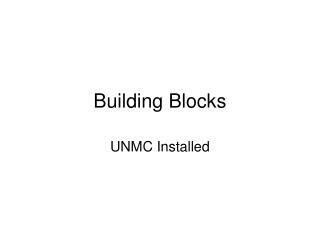 The unit used for thermal transmittance (heat transfer) or conductance of a single building material or building is often called the U-value. 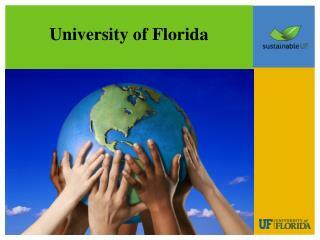 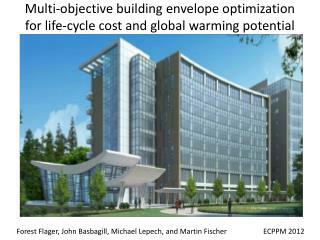 U-values are expressed in Btu’s per hour per square foot of area per degree temperature difference. 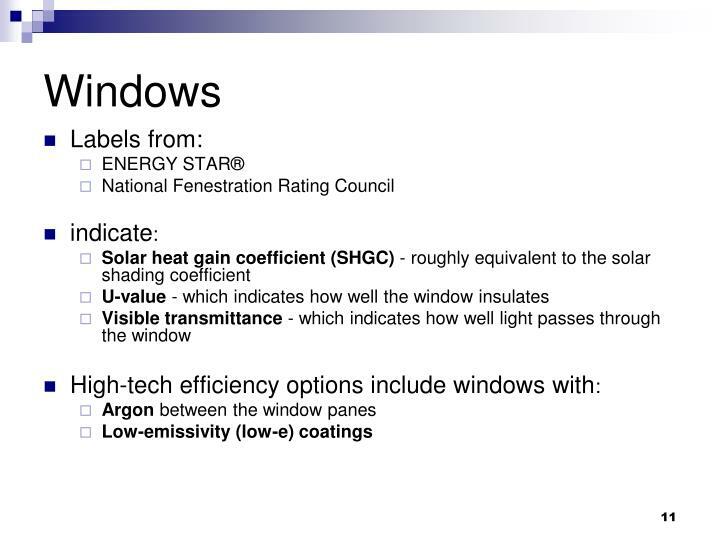 Windows are commonly described by their U-values. 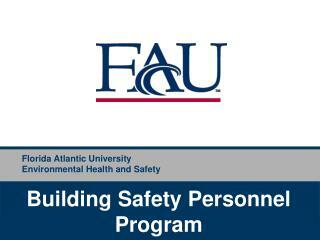 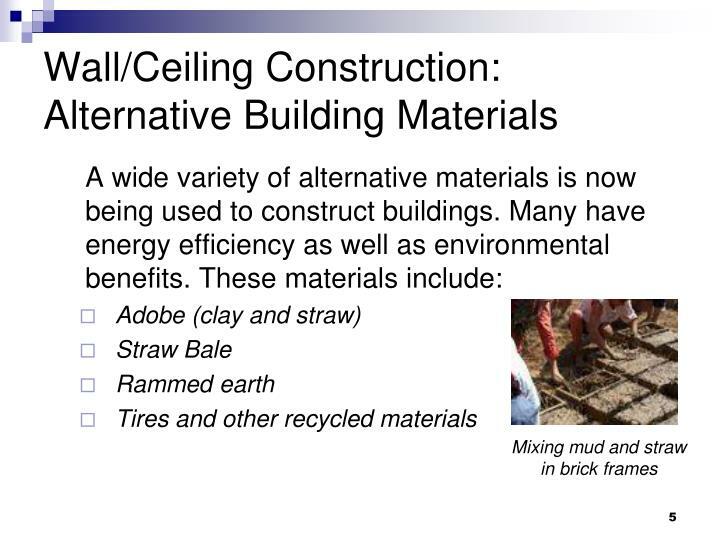 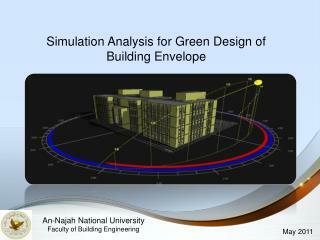 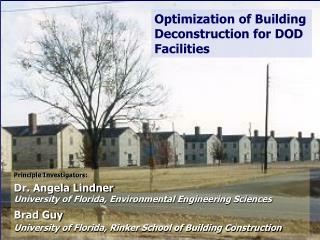 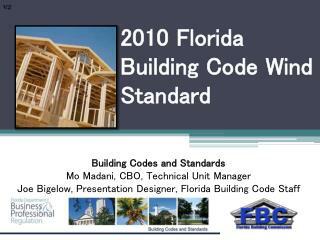 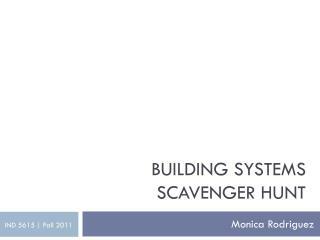 Descriptions of building walls, floors, or ceilings, often use R-values instead of U-values. 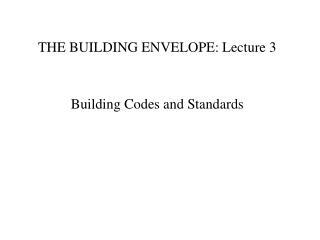 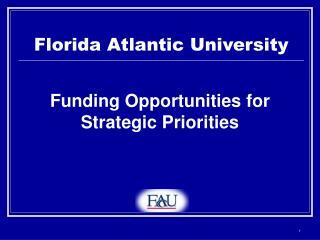 The two terms are reciprocal. 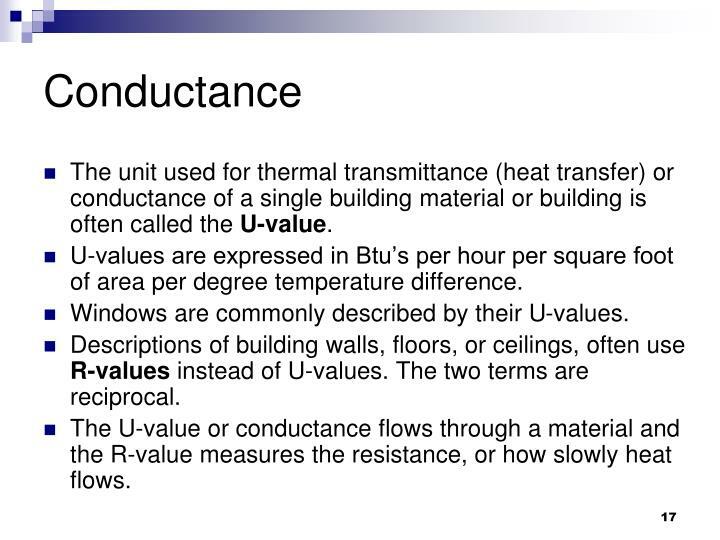 The U-value or conductance flows through a material and the R-value measures the resistance, or how slowly heat flows. 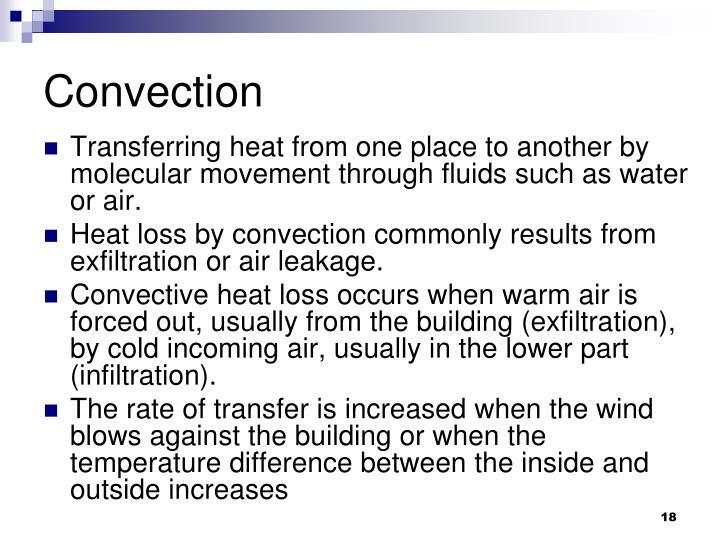 Transferring heat from one place to another by molecular movement through fluids such as water or air. 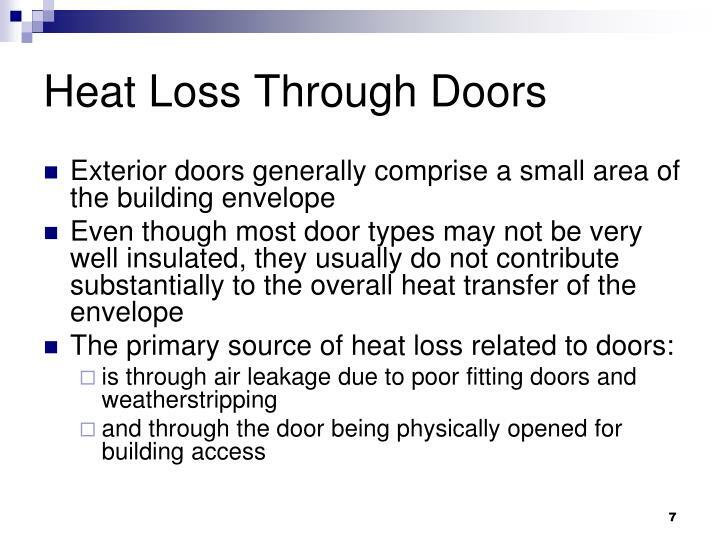 Heat loss by convection commonly results from exfiltration or air leakage. 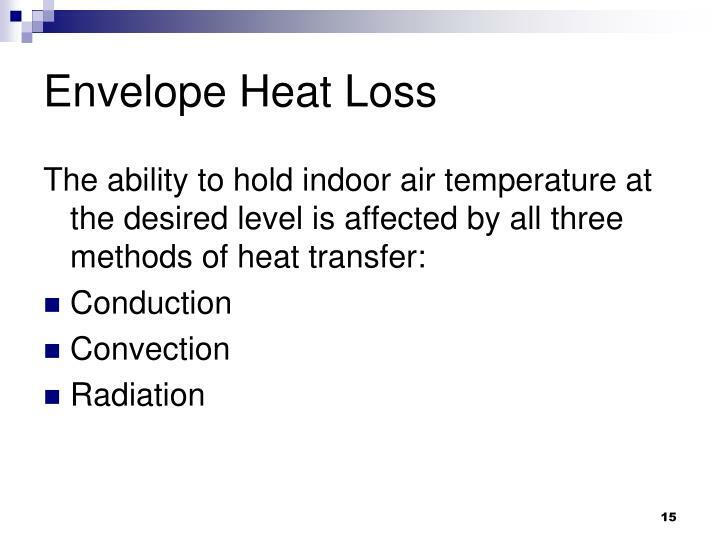 Convective heat loss occurs when warm air is forced out, usually from the building (exfiltration), by cold incoming air, usually in the lower part (infiltration). 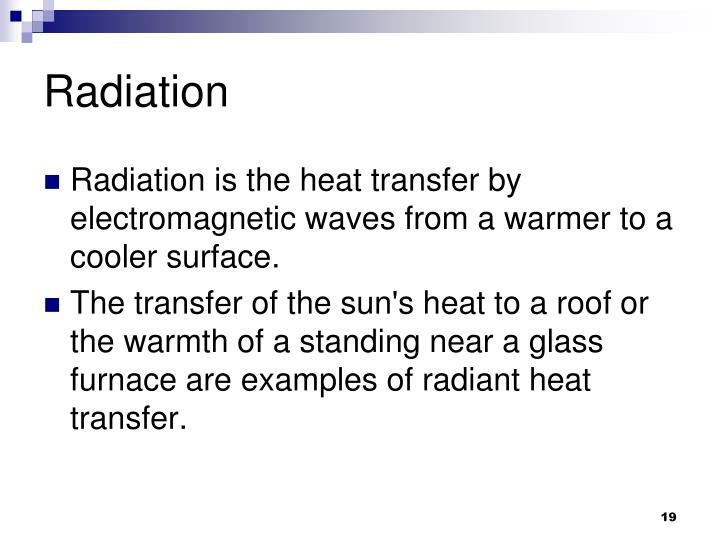 Radiation is the heat transfer by electromagnetic waves from a warmer to a cooler surface. 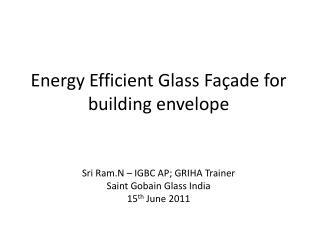 The transfer of the sun's heat to a roof or the warmth of a standing near a glass furnace are examples of radiant heat transfer. 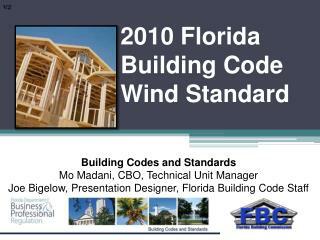 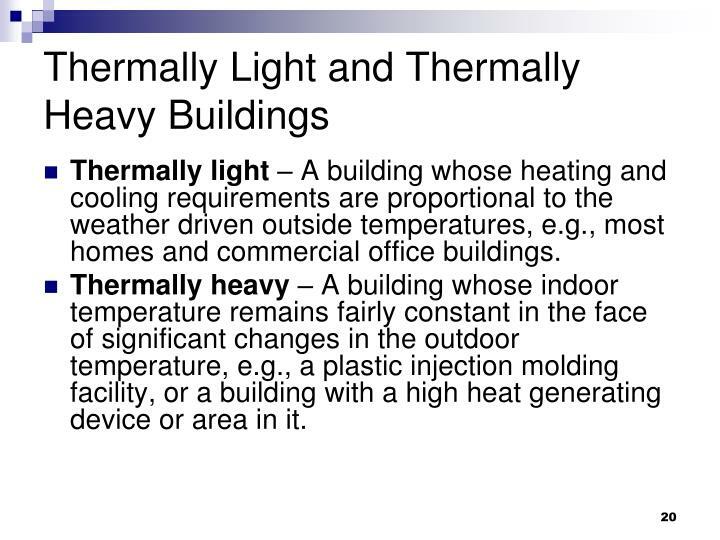 Thermally light – A building whose heating and cooling requirements are proportional to the weather driven outside temperatures, e.g., most homes and commercial office buildings. 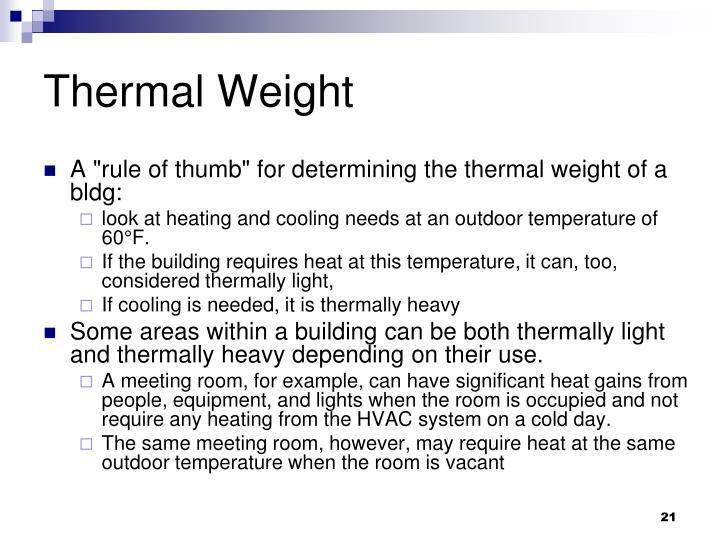 Thermally heavy – A building whose indoor temperature remains fairly constant in the face of significant changes in the outdoor temperature, e.g., a plastic injection molding facility, or a building with a high heat generating device or area in it. 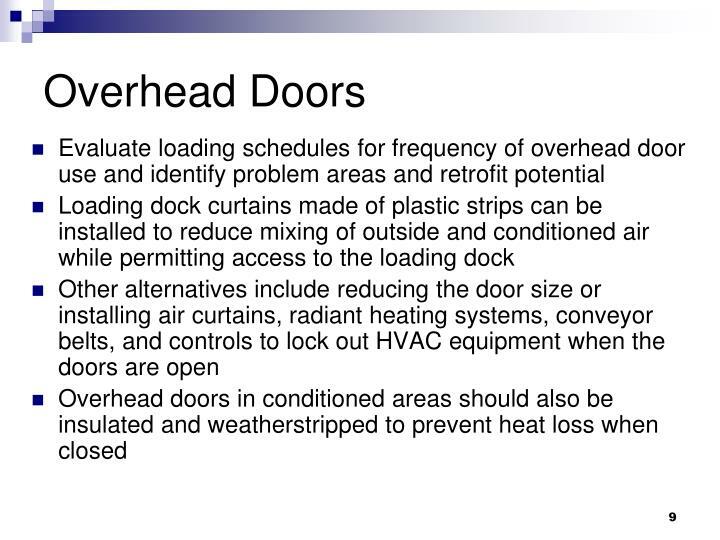 look at heating and cooling needs at an outdoor temperature of 60°F. 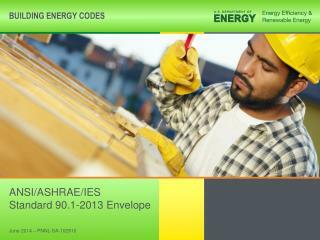 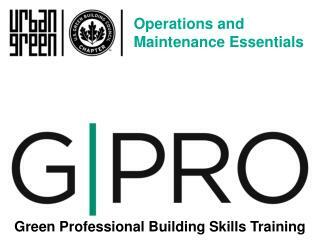 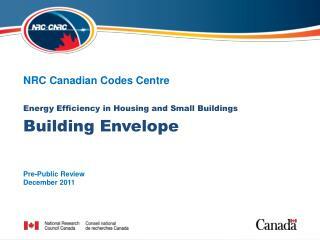 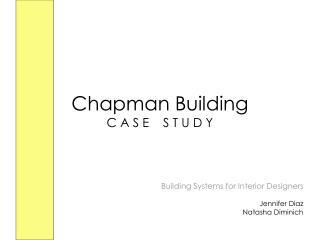 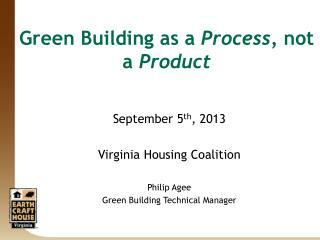 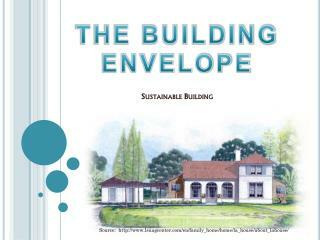 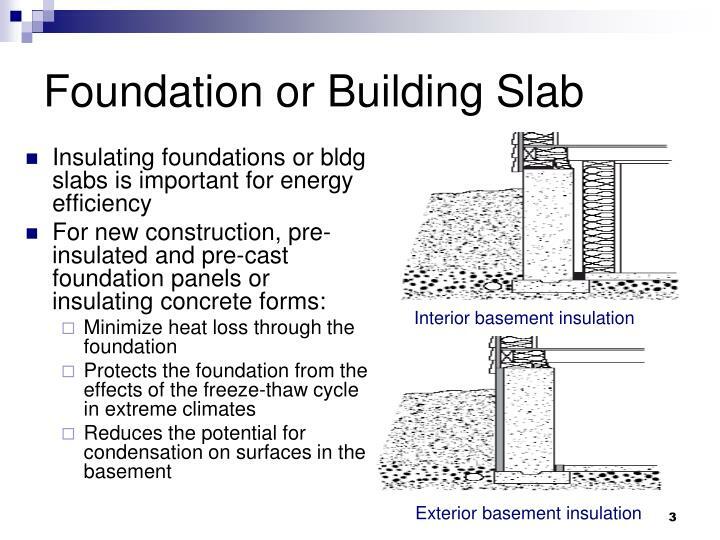 Some areas within a building can be both thermally light and thermally heavy depending on their use. 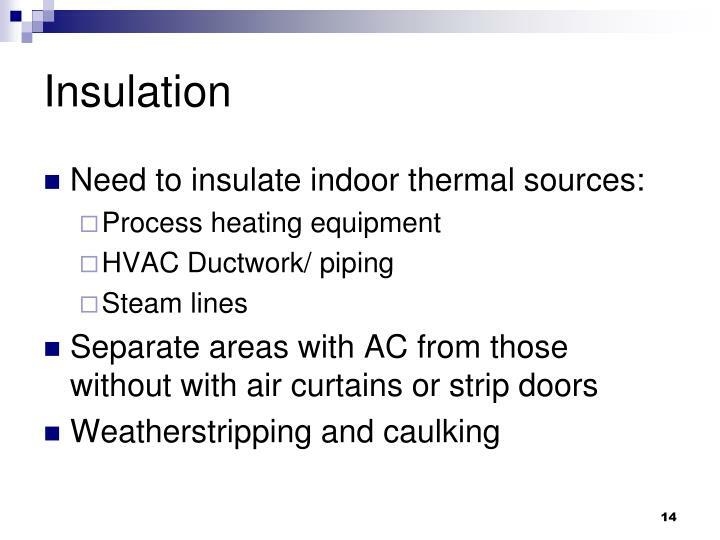 A meeting room, for example, can have significant heat gains from people, equipment, and lights when the room is occupied and not require any heating from the HVAC system on a cold day. 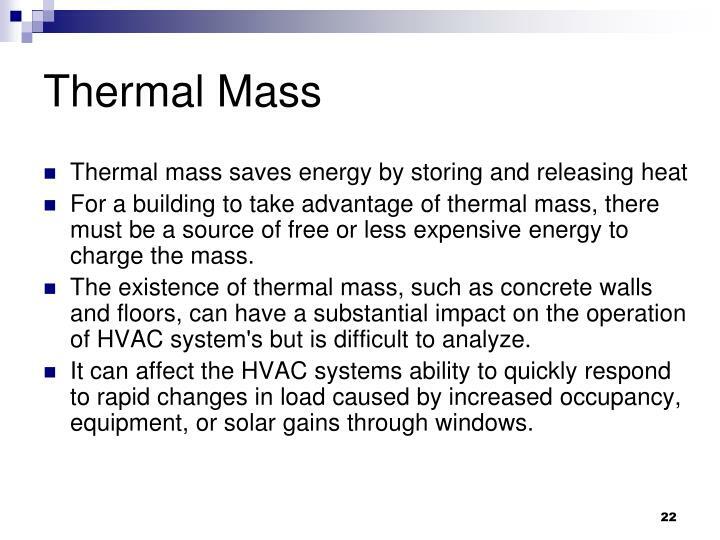 For a building to take advantage of thermal mass, there must be a source of free or less expensive energy to charge the mass. 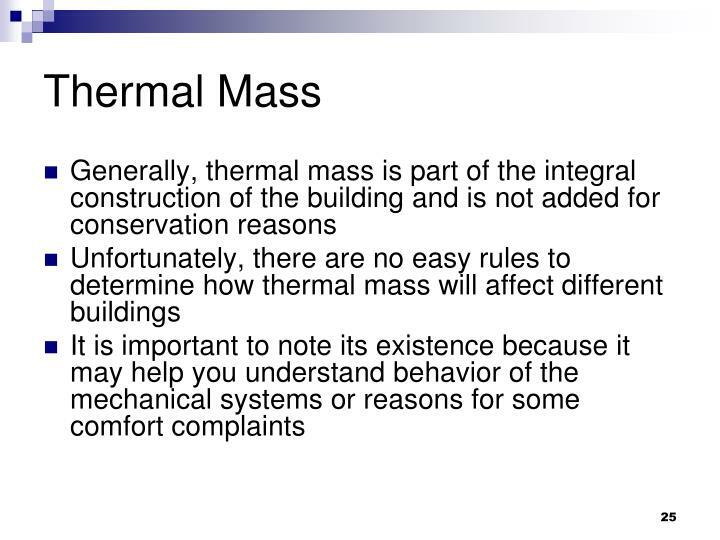 The existence of thermal mass, such as concrete walls and floors, can have a substantial impact on the operation of HVAC system's but is difficult to analyze. 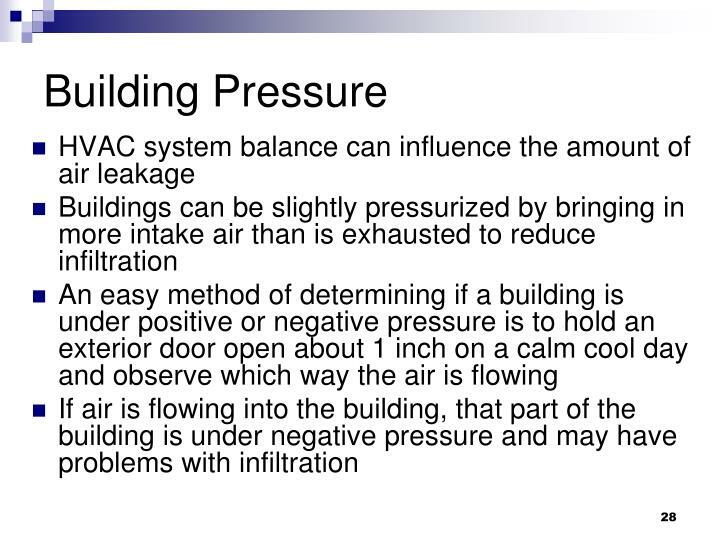 It can affect the HVAC systems ability to quickly respond to rapid changes in load caused by increased occupancy, equipment, or solar gains through windows. 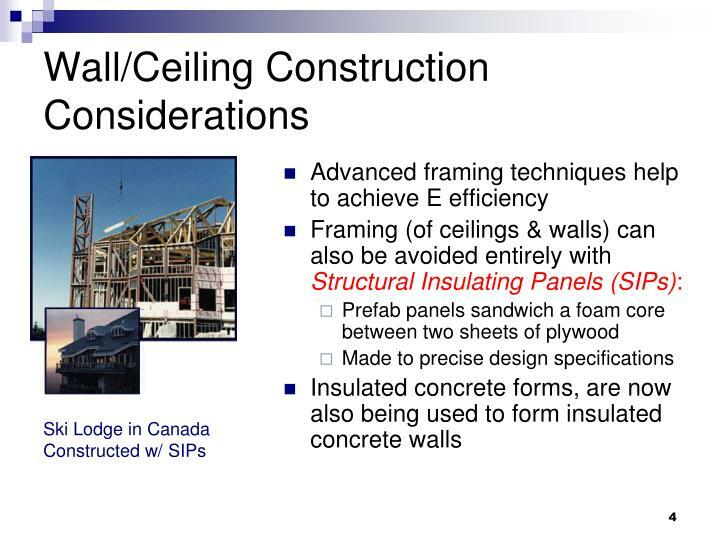 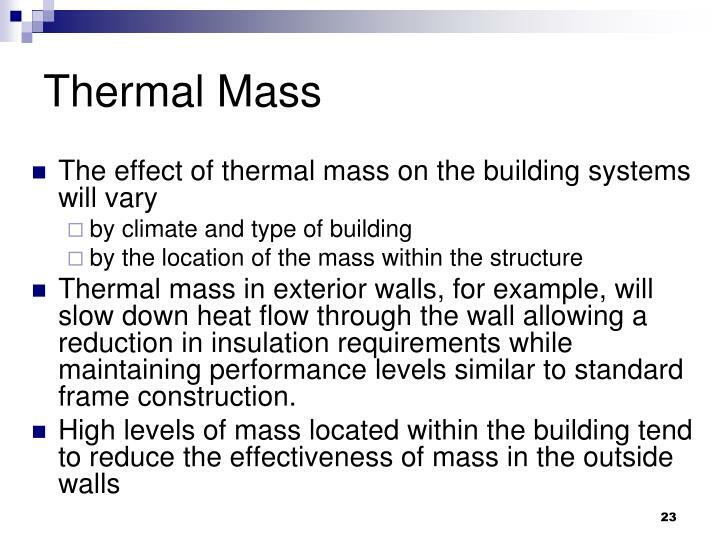 Thermal mass in exterior walls, for example, will slow down heat flow through the wall allowing a reduction in insulation requirements while maintaining performance levels similar to standard frame construction. 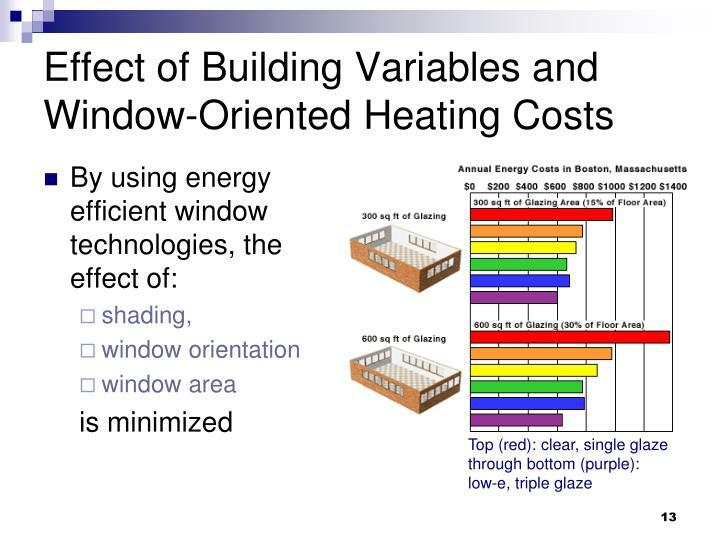 In this case, the thermal mass can be precooled at night using outside air for free cooling or less expensive offpeak electricity for mechanical cooling. 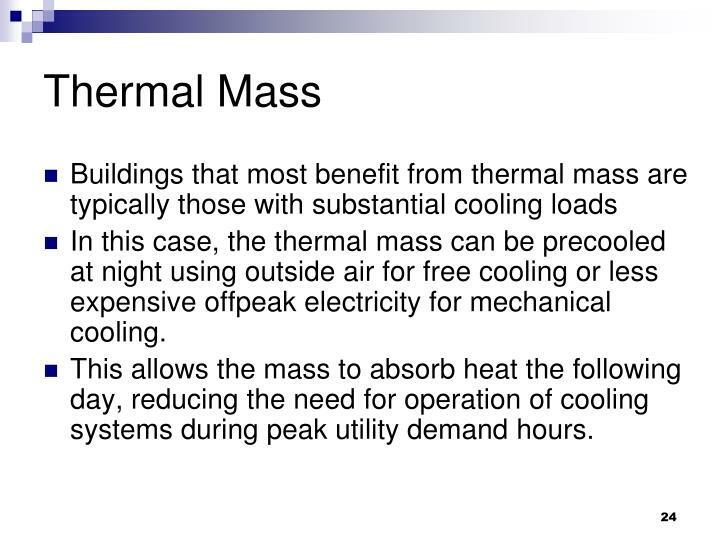 This allows the mass to absorb heat the following day, reducing the need for operation of cooling systems during peak utility demand hours. 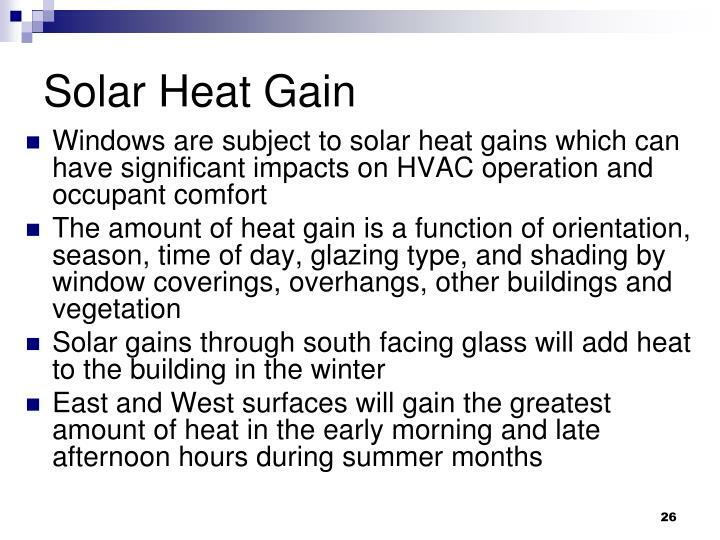 The problem of excess solar heat gains during the summer can be compounded by the build up of internal heat most buildings experience late in the day. 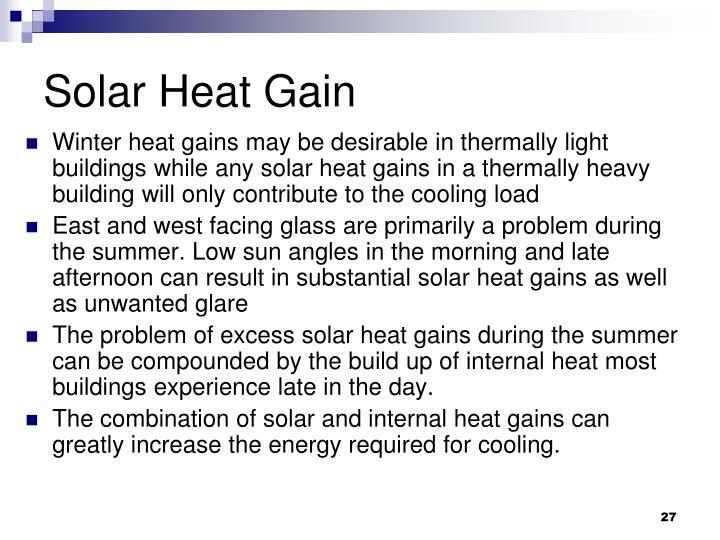 The combination of solar and internal heat gains can greatly increase the energy required for cooling.